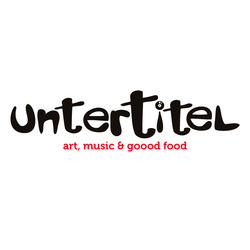 Untertitel is a bar, a restaurant, a space for exhibitions, concerts and performances. In Neukölln, our favourite neighborhood of the city, we want to give the many artists of every possible kind the occasion to show their works. Of course accompanied every day by gooooood italian food, which keeps one always in a great mood... On our Website untertitelnk.com and Facebook page, facebook.com/untertitel.nk, you can find all the infos about our events, concerts and kitchen's specials! Residents of the institute are welcome to get in contact for one night performances / Happenings / presentations or simply to enjoy some drinks with friends and neighbours.